My Only One starring Lee Jang-woo & UEE and airing on September 15, 2018. 100 Days My Prince starring D.O. of EXO & Nam Ji-hyun and airing on September 10, 2018. Big Forest starring Shin Dong-yeob & Jung Sang-hoon and airing on September 7, 2018. Devilish Joy starring Choi Jin-hyuk & Song Ha-yoon and airing September 5, 2018. 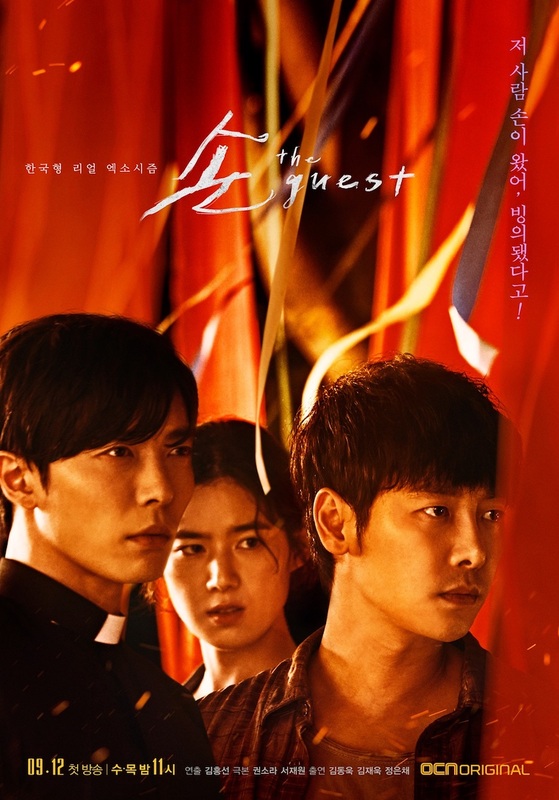 I might also watch but not recap ‘The Ghost’ just because Kim Jae-wook is in it and I’m excited to see him finally play the lead in a drama. It’s about time that he played the main character in a drama because we all know it’s been way too overdue and long and unfair for the talented and charismatic actor. I’ll also give ‘Devilish Joy’ a watch. Watching the trailer and looking at the photos gives me a ‘Time’ kind of vibe so I think it’ll be interesting to at least check it out. Plus, I believe this will be Song Ha-yoon’s first time as the female lead which should be fun to watch. I first saw her in ‘Fight My Way’ and I really liked her in there so I’m glad to see her as the female lead in this drama. Since the current dramas I’m watching and recapping are already halfway finished and are nearing their end, it’s time to find new ones to watch and to recap. I have high hopes and expectations for the new round of dramas and it’ll definitely be interesting to see which ones turn out successful and which ones flail in comparison. Regardless, new dramas are always fun and welcomed and I’m excited to share with y’all my thoughts on the dramas I do watch. As always, you can visit the Korean Drama Recaps page to check out which dramas I’m currently recapping or you can visit the Korean drama and Recap tags for the latest recap updates. Which of the fall Korean dramas do you plan on watching?